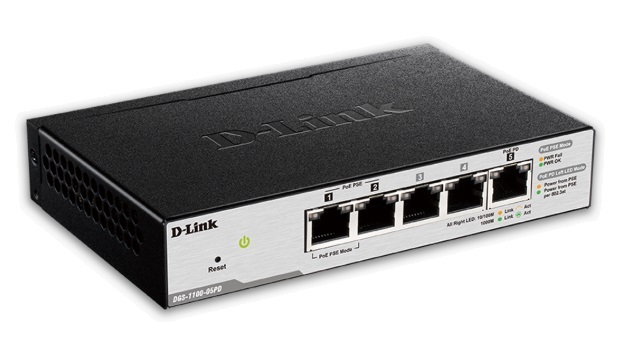 The DGS-1100-05PD is a unique 5-port switch powered through the network cable by an upstream PoE power source (PoE switch or injector). As a “PoE extender”, it also has the ability to propagate (pass-through) PoE power further downstream to one or two Powered Devices (PDs). 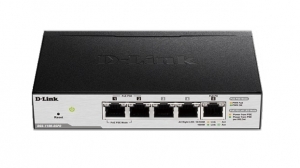 • The DGS-1100-05PD is powered by a PoE switch or PoE injector that can be located up to 100m away. As such, this device is intended for applications where a small 5-port Gigabit switch is required but AC power is not close by. The upstream PoE source may support either 802.3af or 802.3at. One switch port is used for the power input (port 5) and the other four ports are available as standard 10/100/1000 ports for networked devices, such as PCs, printers, etc. 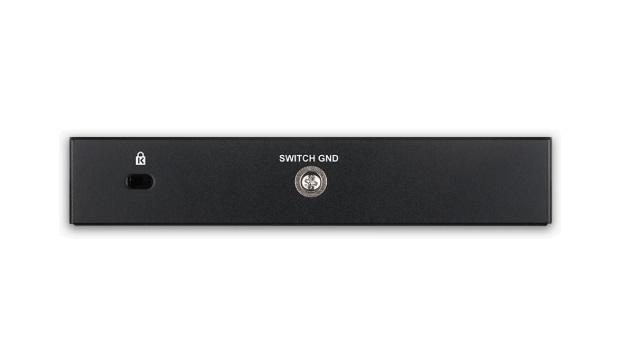 • The DGS-1100-05PD switch can also “pass-through” PoE power to one or two downstream PDs (such as IP Cameras, IP Phones, Wireless APs). The PoE budget for this feature is dependent on the PoE source (802.3af or 802.3at) and the PD’s PoE Classification. • The DGS-1100-05PD comes in a compact metal enclosure. It can be wall mounted or placed on a desktop. It has no fans so it operates silently. Compliant with IEEE 802.3az Energy Efficient Ethernet (EEE), it consumes less energy by cutting down on power consumption when port utilization is low.